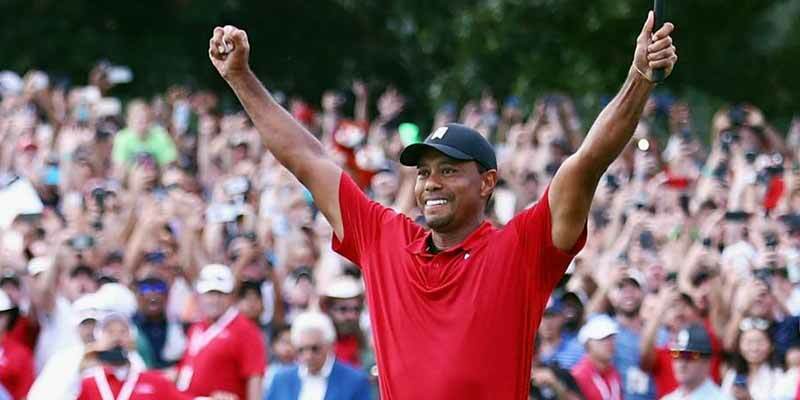 MY man Francesco Molinari is leading the chase for the Green Jacket but he must fear the man hunting him down … a revitalised Tiger Woods. The action at Augusta will be finished much earlier than usual with players going out in groups of three, from two tees and about five hours ahead of schedule with storms forecast tonight. I tipped Open champion Molinari to win – and I've got him at 40-1 with McBookie (now 15-8) – and the Italian impressed yesterday with a stunning back nine to carve out a two-shot lead. He edged out Woods to win at Carnoustie last year but this feels different. Woods is on home territory and playing a course he loves – a tournament he's won four times. His game has looked great all week and the putts he missed on Friday he holed yesterday. It might seem obvious but whoever has the hottest putter is likely to win. Woods will be well backed at 7-2 with Paddy Power. Molinari hopefully won't crumble in the spotlight and says he's worked hard on how to deal with the pressure and since Carnoustie he's been one of the best players in the world. For my bank balance I hope he wins but as a golf man I don't mind if he's second behind Tiger and inplay if it looks a battle between the pair I'll be covering my antepost bet. And there's a problem because there are top players stacked up behind the two favourites. Big-hitting Tony Finua is level with Tiger and will join the final group and can't be ruled out at 15-2 with Betfred. Actually looks a good bet at 4-5 with betfair to finish top five. Majors expert Brooks Koepka, three wins in the last seven big ones, is three behind and third favourite at 13-2 with bet365. Four behind are Webb Simpson (33-1, Betfred) and Ian Poulter (28-1, Betfred) but for me the top three and Dustin Johnson are the only players who can win. Johnson is in a bunch five back with Matt Kuchar, Justin Harding, Xander Schauffele, Dustin and Louis Oosthuizen and is 22-1 at bet365. My twoball treble yesterday became a winning double when Schauffele bogeyed the last to tie with Harding. I prefer twoballs to threeballs but it's threeballs today so much tougher. I've picked out a couple do be done as singles or as low stakes. The leaders go out at 2.20pm BST so you need to get the bets on sharpish.